BLANCHESTER — A Clinton County Children Services investigator requested a Blanchester police officer accompany her to the 7000 block of Fairground Road Thursday afternoon to check the well being of a 16-year-old whose grandmother recently died, according to Police Chief Scott Reinbolt. The 16-year-old’s grandmother was the youth’s guardian. He said the woman had been in the home as a guest of Joseph Dixon of that address; however, Dixon left the home shortly after police arrived. The woman was taken to the Blanchester police station for booking and processing. ”She was lethargic, unsteady on her feet, seemed unable to fully comprehend her situation and spoke in a slurred mumble,” said Reinbolt. “She continued to refuse to provide any information to officers, but was identified from prior booking photos as Jessica Mathews, age 28. 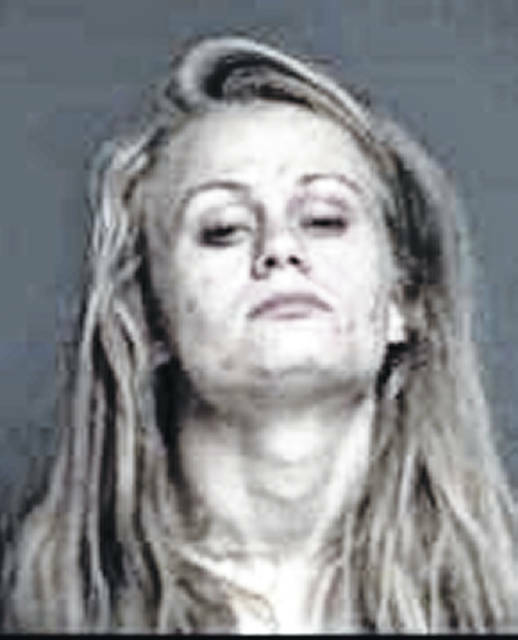 “A computer check revealed the Warren County Sheriff’s Office held a multi-state felony warrant for her arrest for possession of drugs.